Promotional Callcard for Barry's Tea Gold Blend Teabag's. 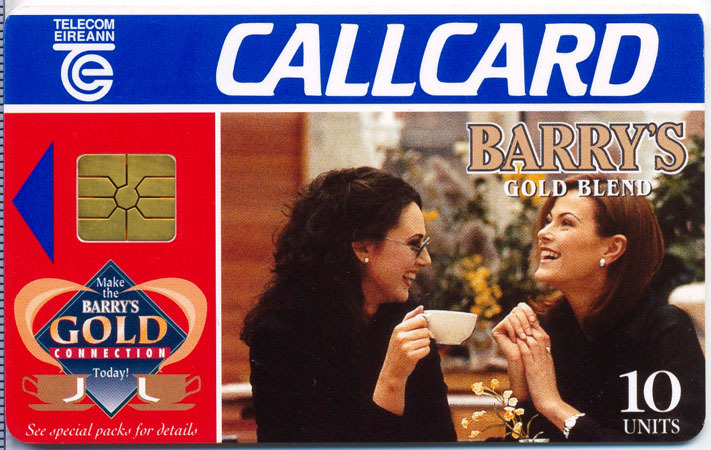 The Callcard was available with special packs of Barry's Gold Blend Tea. 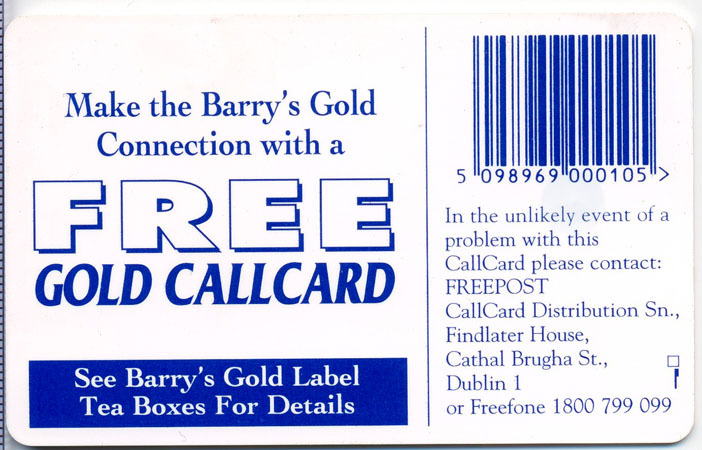 Contrary to the packaging referring to a "Gold Callcard", we believe this is in reference to the Barry's Tea Callcard.